How many pop songs about Easter do you know? It’s is a curious thing. There is lots of lovely church music for Easter, just as there is for Christmas. But popular music? Every man and his dog has released a Christmas album – there are so many in the op-shops of Australia that they effect Earth’s gravitational pull. But there is no “Rudolph the Red Nosed Rabbit”, no “I Saw Mummy Kiss the Easter Bunny”. 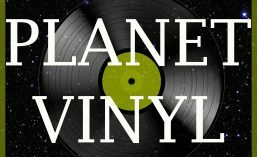 If you want something rare, though, Planet Vinyl is the place to go. In 1958, the great Sarah Vaughan teamed up with Billy Eckstine – not so well-remembered now, but a star singer and bandleader in his day – to collaborate on an album of Irving Berlin songs. One of them is “Easter Parade”, written by Berlin in 1933 and later a hit for Bing Crosby and Liberace, among others. Sage observers declare “The song is often considered to be one of the most popular Easter songs of all time”. Not sure that it has a great deal of competition, but it’s fun and happy and Sarah and Billy sing it beautifully. Happy Easter from Planet Vinyl.